What do UK SMEs need to know about Free Trade Agreements? With the prospect of leaving the EU looming larger by the day, the importance of Free Trade Agreements – or FTAs – for UK businesses looking to export or import goods and services is going to grow significantly. As things stand, the UK’s trading arrangements with countries around the world are shaped by the agreements put in place by the EU. The trading bloc has arranged the UK’s trade agreements with partners around the world and of course the UK’s trading arrangements with much of Europe have been governed by the rules of being part of the EU. When the UK has negotiated its exit from the EU, it will be in a position where it needs to start negotiating deals with partners around the world. This potentially includes the EU, depending on whether the two parties successfully agree a trade agreement as part of the negotiations for leaving. The FTAs that the UK goes onto negotiate with new partners could become a major factor for UK businesses when deciding where they could export their goods and services to. One of the major impacts that an FTA can have on companies selling goods to overseas countries is tariff reductions. When countries negotiate FTAs with other countries, they do so with the view to reducing tariffs on goods that the countries want to facilitate easy trade on. Therefore many of the tariff reductions that the UK has as part of its being in the EU will no longer be applicable upon it’s leaving – again, depending on the outcome of the negotiations. If you are selling into a country with which the UK does not have an agreement in place, the likelihood will be that the UK will need to sell according to WTO rules. Under WTO rules and since the Uruguay Round concluded in 1994, no one country can place less favorable tariffs for a particular good being sold into it than that which it has set for the ‘Most favourable nation’. According to fullfact.org, ‘The principle of non-discrimination means that WTO members must not treat any member less advantageously than any other: grant one country preferential treatment, and the same must be done for everyone else’. This will mean that the UK will not be able to have a better tariff situation than any other country does when selling into countries it has no FTA wit. The UK will be on the same footing importing and exporting goods into and from the USA, for example, than one of the US’ less preferred trading nations who are part of the WTO – like Bolivia, say. Until an FTA is agreed between the UK and the USA, WTO rules would incur higher tariff costs for UK businesses looking to import or export goods from the USA. Given that MFN tariffs would be imposed on many of the UK’s goods exports to the EU, it might mean many exporters become less price competitive than their counterparts operating within the EU, and those within countries with which the EU has preferential trading relationships. In effect, if we don’t get an FTA or transition deal with the EU as part of the negotiations for leaving it, tariff costs will make exporting into the EU more expensive and the same applies for importing too. For UK businesses looking to determine the impact of WTO tariffs on selling into different markets, and then the potential impact of FTAs as and when they are agreed, it will be important to know how to determine what tariffs you’ll need to pay for the goods you are selling. A useful tool for checking your harmonized code (HS) and then your tariffs is MADB – read our guide for more tips. In some instances, the difference between FTA and non-FTA rates can be significant, whereas for other goods there could be no difference. The degree of tariff advantage you receive from an FTA therefore depends on your product. This is why FTA tariff rates may be a determining factor in entering a market in some cases but not in others. 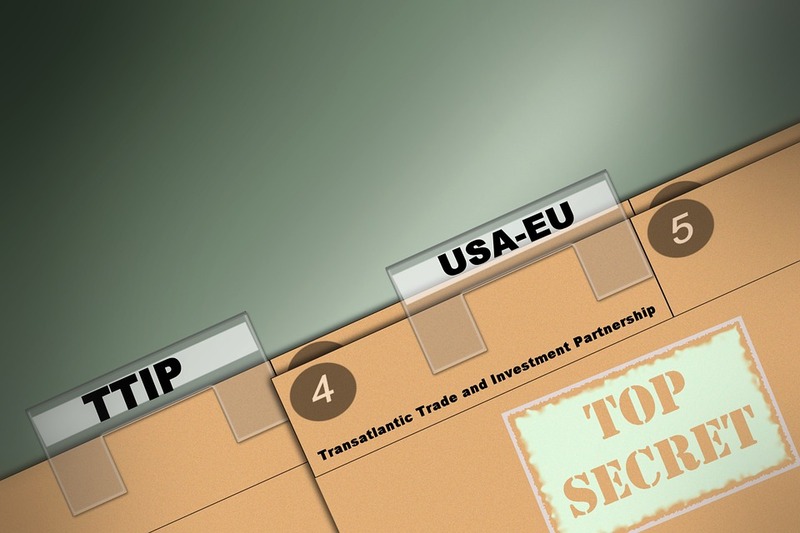 TTIP is the FTA being negotiated between the EU and the USA. Exporting and importing services will also be affected by the FTAs the UK manages to secure in the coming years. NAFTA and CETA are both examples of trade deals in which a service provider is treated as a national rather than an international company. This removes barriers such as being required to have a physical presence in the overseas market. These FTAs have also facilitated trading services by making visas easier to attain for entering between these markets. There are several potential key advantages in doing business in countries where an FTA is in place, including tax rates if you set up an office in another country, and greater freedom of movement of staff to these countries. And it’s not just tariffs that are affected, but also things like VAT and IP. FTAs are complex and each one is unique. This explains why it can be so hard to get a clear answer on how exactly your company can benefit when selling to, buying from, or investing in a partner country. When the UK has left the EU, it will be important for UK businesses to be vigilant and stay up to date with the UK’s new trade agreements with partners including and beyond the EU. The reality is that the FTAs that come to fruition will have a significant impact on the costs – and therefore the money to be made – in selling into overseas markets. For a comprehensive understanding of how FTAs work and how you can prepare for them as a business, we recommend checking out the Institute of Export and International Trade’s bitesize module: The World Trade Organisation Explained. Previous Post Why export education and professionalism is key Next Post Going international? Is your website international SEO ready?